pork stews, spaetzle soup, apple strudel and the much-loved pretzel to accompany pints of Weissbier. thick gloves and safety goggles and (knowing how accident prone I am) I had to come up with an alternative. for 1½ hours or until more than doubled in size. 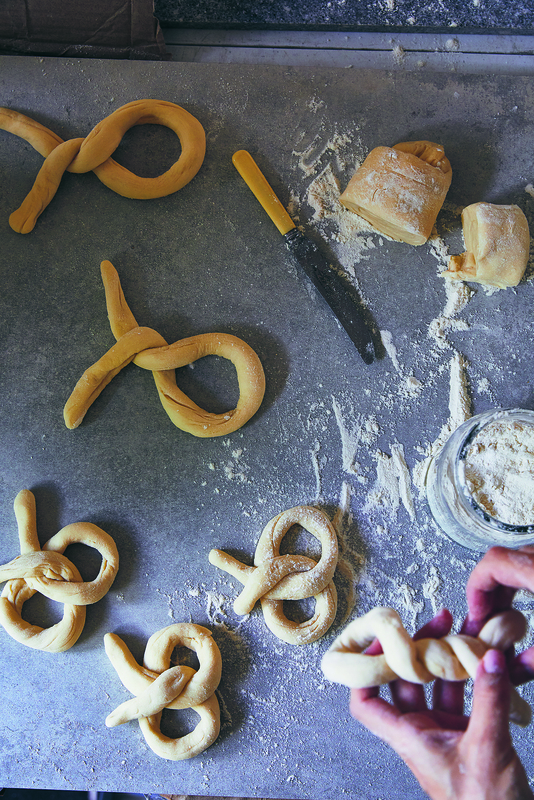 form a pretzel shape and gently press the ends into place. 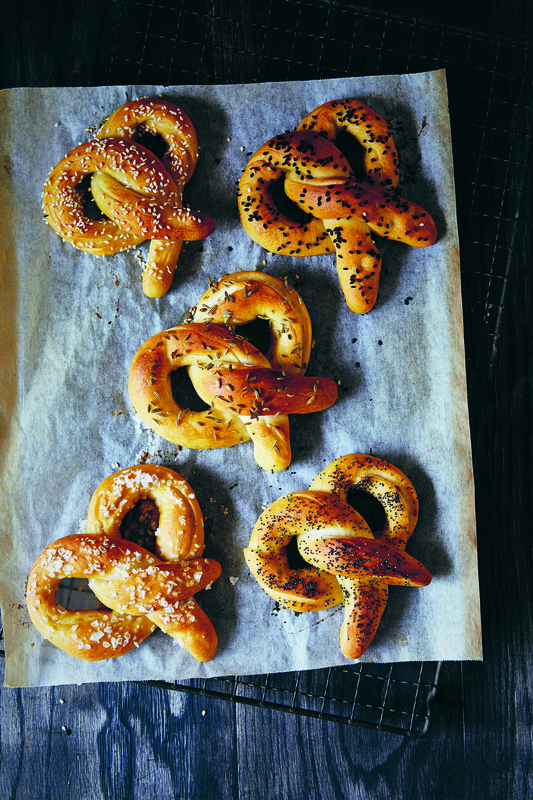 Place the pretzels on the prepared tray, leaving plenty of room for spreading. Cover with a damp tea towel and rest at room temperature for 20 minutes. The pretzels will grow by about one-third during this time. on a wire rack for 30 minutes before eating. 1. Place a large saucepan over a medium heat, and dry-fry the cinnamon, star anise and cloves for a minute or two, or until fragrant. Add the peanut oil, chopped carrot and fennel and cook for a couple of minutes until it begins to sizzle. Add the ginger, shiitake and a splash of water, and continue to cook for another couple of minutes. 2. Add the tamari, and once it has reduced down and caramelised on the bottom of the pan, add the water. Place the lid on the pan and bring the broth to the boil. Add a handful of the herbs, reduce to a medium heat and cook for 20 minutes. a splash of tamari. Remove the pan from the heat. choy with a splash of water until done. Remove from the heat. 5. Prepare the rice noodles as per the packet instructions. 6. 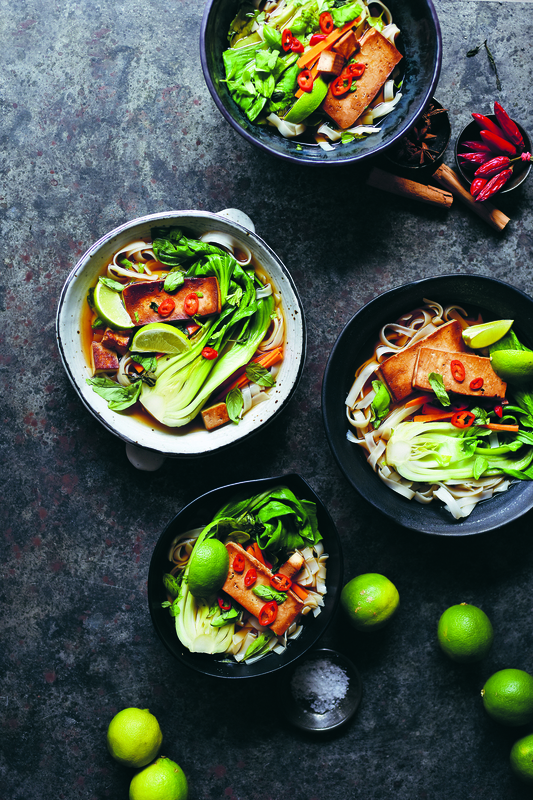 To assemble, divide the noodles between four serving bowls and then arrange the tofu, carrot and bok choy on top. Ladle over the pho broth, and finish the bowls with some fresh chilli, herbs and wedges of lime. 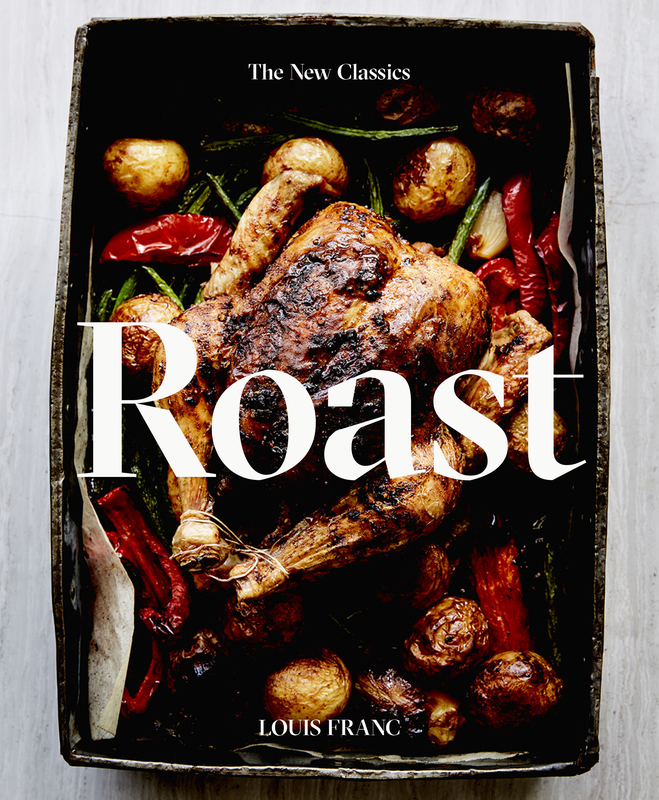 Edited extract from Roast by Louise Franc, published by Smith Street Books, $39.99. Available now. Heat a small splash of the olive oil in a saucepan over medium heat. Add the freekeh and coriander and cumin seeds and cook until the mixture starts to sizzle and pop. Add the stock and simmer, stirring occasionally, for 45 minutes, or up to 1 hour, until the freekeh is cooked through. Transfer to a large bowl and add the almonds, garlic, cranberries, rosemary and parsley. Mix well and season to taste. Meanwhile, preheat the oven to 200°C/400°F (fan-forced). Using a large kitchen knife, cut out the top of the pumpkin and set aside as a lid. Scoop out the seeds and fibres with a spoon and discard. If your pumpkin is very thick in places, scoop out a little of the pumpkin until it is even on all sides — this will help the pumpkin to cook evenly. In a small bowl, combine the maple syrup, vinegar and remaining olive oil. Season with salt and freshly ground black pepper, then pour over the freekeh. Toss to combine and check the seasoning. 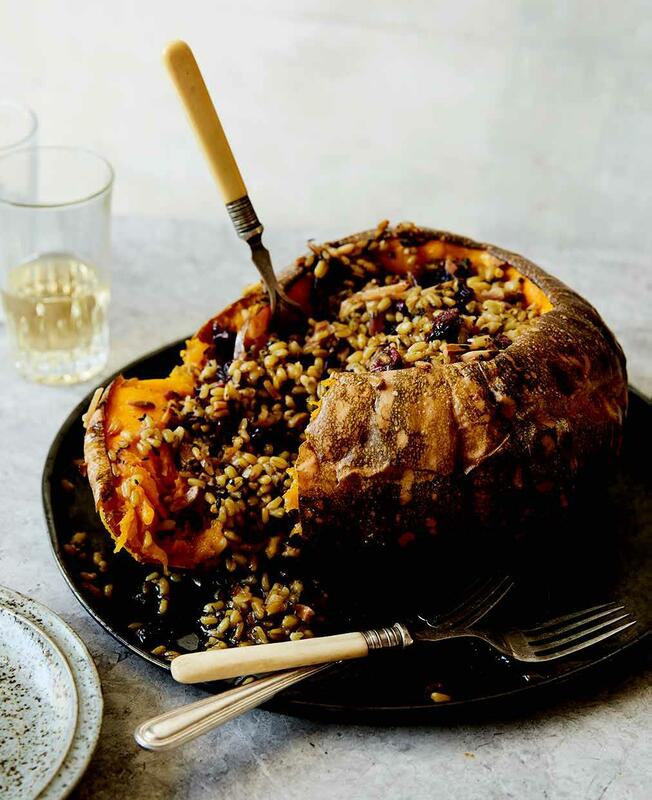 Spoon the freekeh into the pumpkin shell. Place the pumpkin lid on top and wrap the whole pumpkin in two layers of foil. Place on a baking tray, transfer to the oven and roast for 1 hour. Remove the foil and roast for at least another 1 hour. The pumpkin may seem soft at this stage when tested with a sharp knife, but it takes a long time to cook all the way through. You can test it’s done by inserting a knife into the middle and scraping off a little of the pumpkin flesh inside. If it is still a little fibrous, cook the pumpkin for longer. Allow the pumpkin to rest for 10 minutes before slicing into large wedges. Preheat the oven to 160°C/320°F (fan-forced). Line a deep-sided baking dish with foil. To make the harissa, cut two of the chillies in half lengthways and remove the seeds and membranes. Roughly chop all four chillies and set aside. In a small frying pan, toast the caraway, coriander and cumin seeds over medium heat for a minute or two, until fragrant. 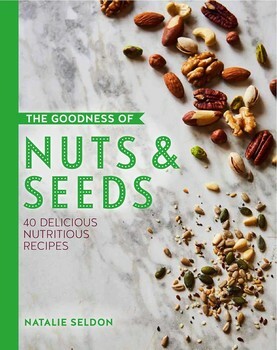 Tip the toasted seeds into the small bowl of a blender. Add the remaining harissa ingredients, including the chopped chillies, and blend until all the ingredients are chopped and you have a thickish paste. Mix half the harissa through the 185 g (6½ oz/¾ cup) yoghurt, then taste to check if it is spicy or hot enough for you. Add more harissa to your taste, until the heat is to your liking. Remove the core and any outer leaves from the cauliflower. 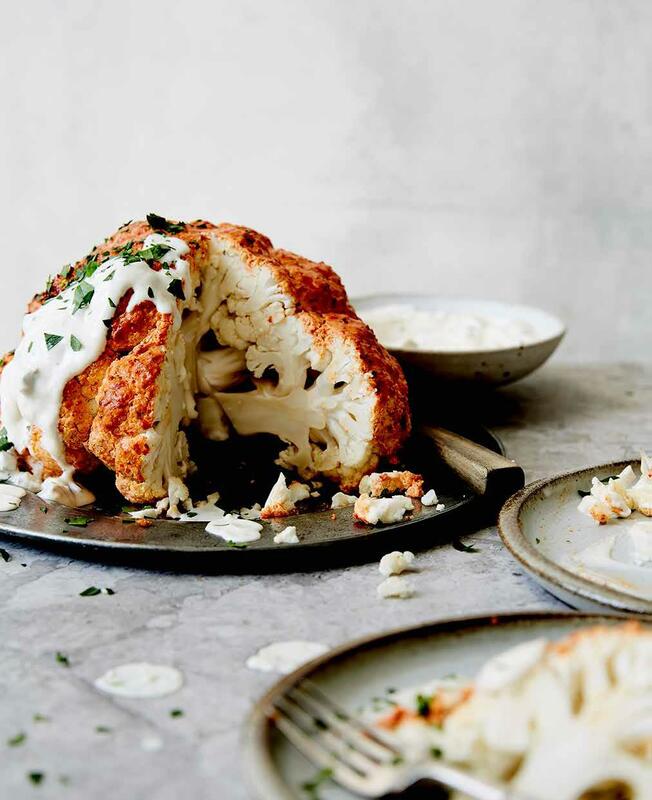 Brush the harissa yoghurt mixture all over the cauliflower, ensuring it is evenly coated on all sides. Transfer the coated cauliflower to the baking dish and into the oven. Roast for 30 minutes. Add 125 ml (4 fl oz/½ cup) water to the dish, cover with a lid or foil, and roast the cauliflower for a further 20 minutes, or until tender. Meanwhile, in a small bowl, mix together the fig and yoghurt sauce ingredients until well combined. Serve the cauliflower warm, with the fig and yoghurt sauce, sprinkled with the almonds and parsley. 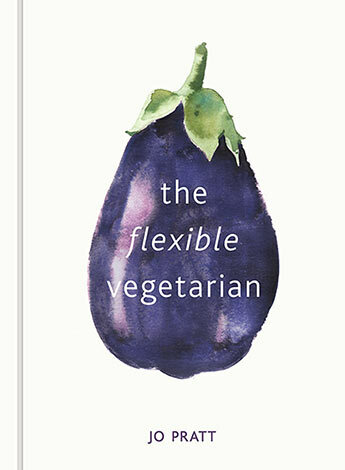 I have a dilemma – do I give this to my vegetarian daughter so she can cook the occasional meal for her non vegetarian friends and family ? Or do I keep this one to source recipes for when my daughter visits? (I am always looking for new and tasty meals I can prepare that we can all share when she visits.) What would you do? 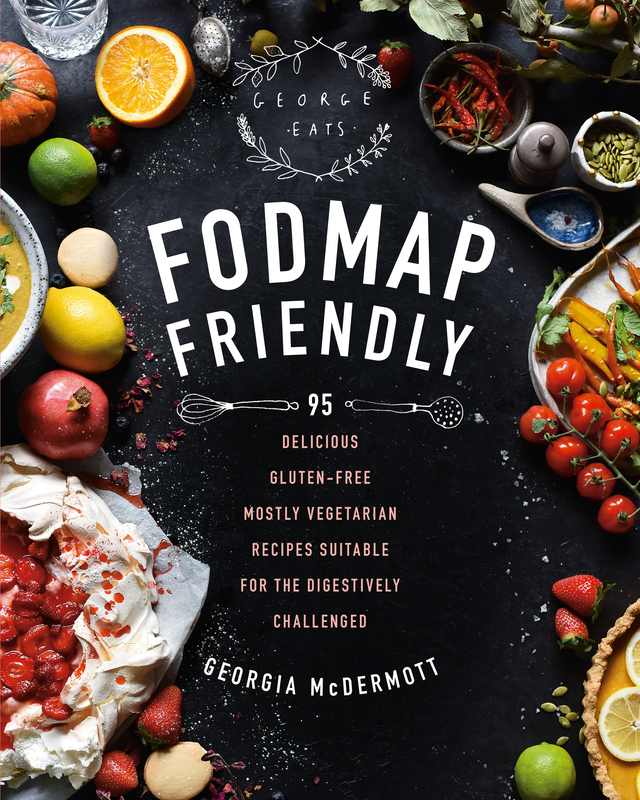 **As a bonus this book contains many recipes that include cheese, and one I will definitely be making in summer, Grilled Peaches, Burrata and Mint Pesto – YUM. 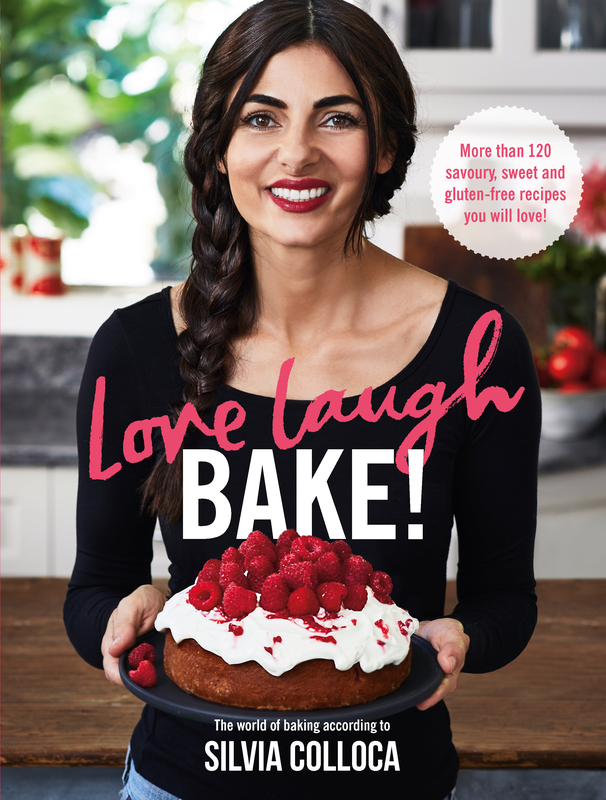 The section “Dips and Bits” deserves a special mention – there are so many of my favourite foods presented here: labneh, hummus, tahini dressing, pesto…and section, “Small Plates”… well I just have to try smashed bean, kale and tomato toast – what a great breakfast idea! So many good ideas here. I dont think I could choose just one favourite. It’s World Chocolate Day – let’s celebrate with a little something that combines decadent with wholesome. 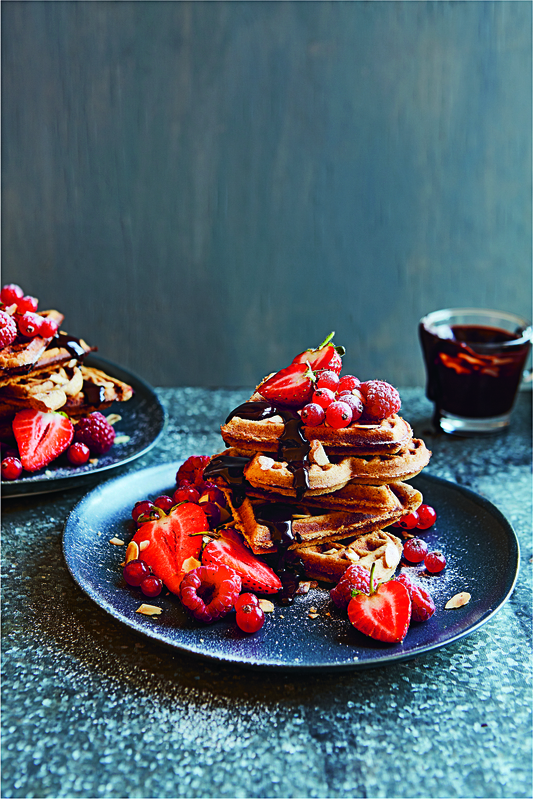 Decadent yet wholesome, these are drizzled with warm, sticky sauce and vibrant fresh berries for an indulgent affair to savour. Golden and crispy on the outside with a soft and fluffy centre, these griddled, healthy treats contain gluten-free buckwheat flour, supplying a multitude of vitamins and minerals. These provide a little sweet solace on wet and windy days and are sure to warm the hearts of family and friends. Sift both flours, the baking powder and salt into a mixing bowl and stir to combine. Add the date syrup, egg, almond milk, almond butter and vanilla bean paste or extract, then mix well until combined. Leave the batter to rest for 5 minutes. Make the date and chocolate sauce by heating all the ingredients together in a small pan over a gentle heat. Stir until combined and glossy, then set aside until needed. Preheat a waffle iron as per instructions, spray both sides of the iron with oil spray (I use coconut oil) and pour a large ladleful (about 150ml) of batter in the centre of the iron and spread out towards the edges with a flat-bladed knife. Close the lid and allow to cook. Repeat until all the batter is used. Serve the waffles with the fresh fruit, a drizzle of date chocolate sauce and the toasted almonds.